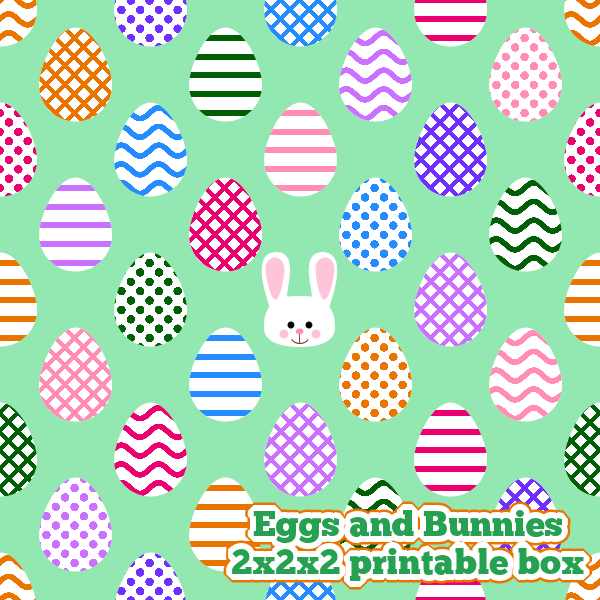 My first Easter printable for 2013, a little egg and bunny themed box. 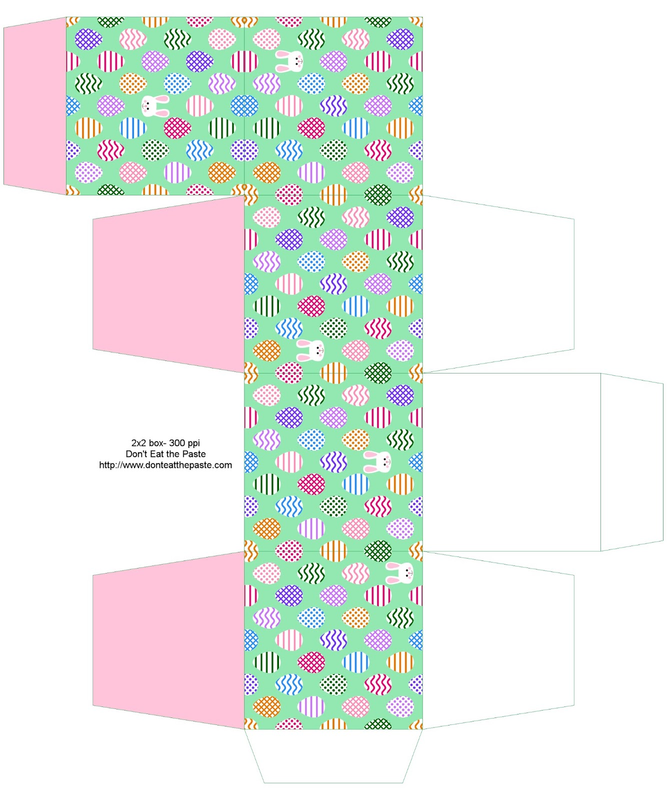 I hope you enjoy this printable box. I may wind up doing more with this fill because I really like how cute it turned out. 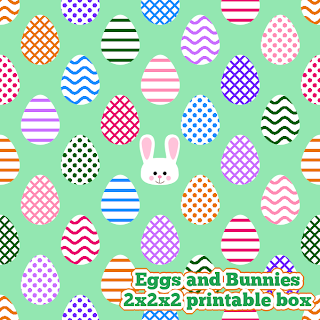 Would you like to see more printables with this pattern? Click on the image for a larger version. Print at 8x10 inches on card stock, cut out, score folds, glue.